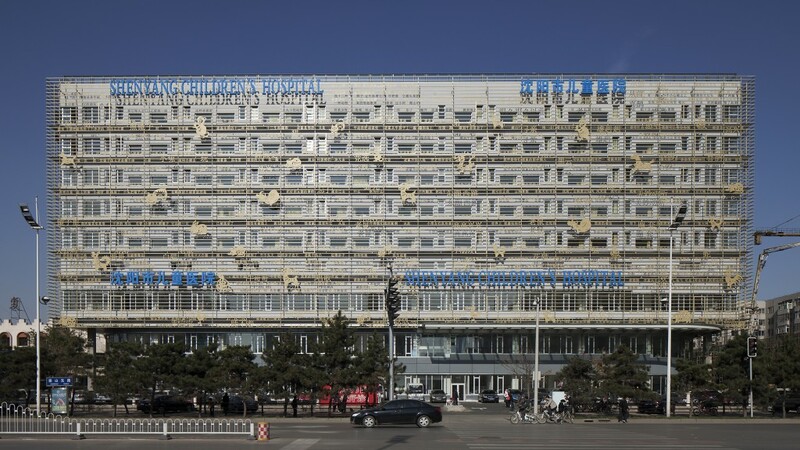 The idea behind the design for this hospital was that it should literally tell a story. 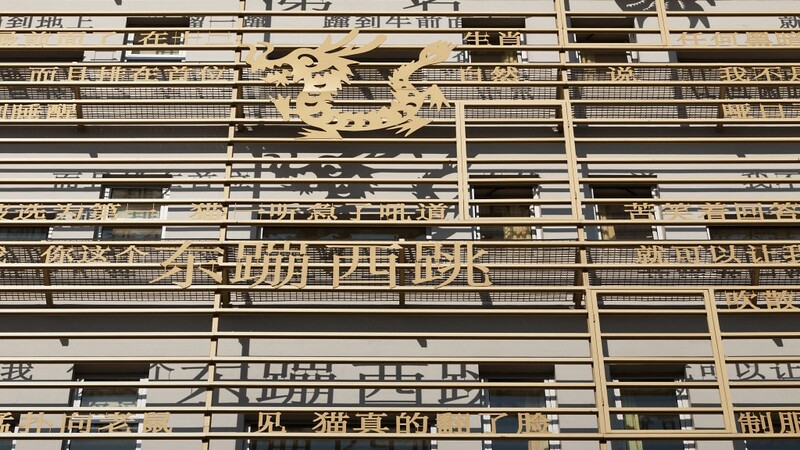 The façade is inscribed with Chinese characters and animal figures, bringing it to life like a delicate, shimmering gold veil and making the building instantly recognisable. 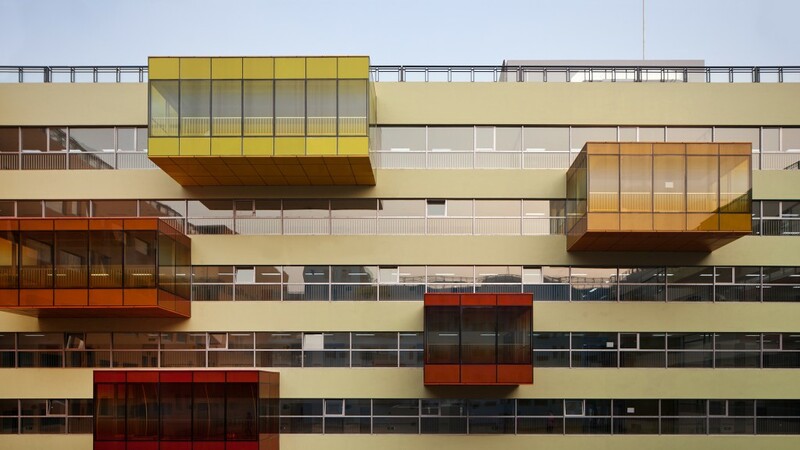 The colourful façades facing towards the landscaped inner courtyard contain various lounges and play areas for children and their parents, create a friendly and relaxed atmosphere. 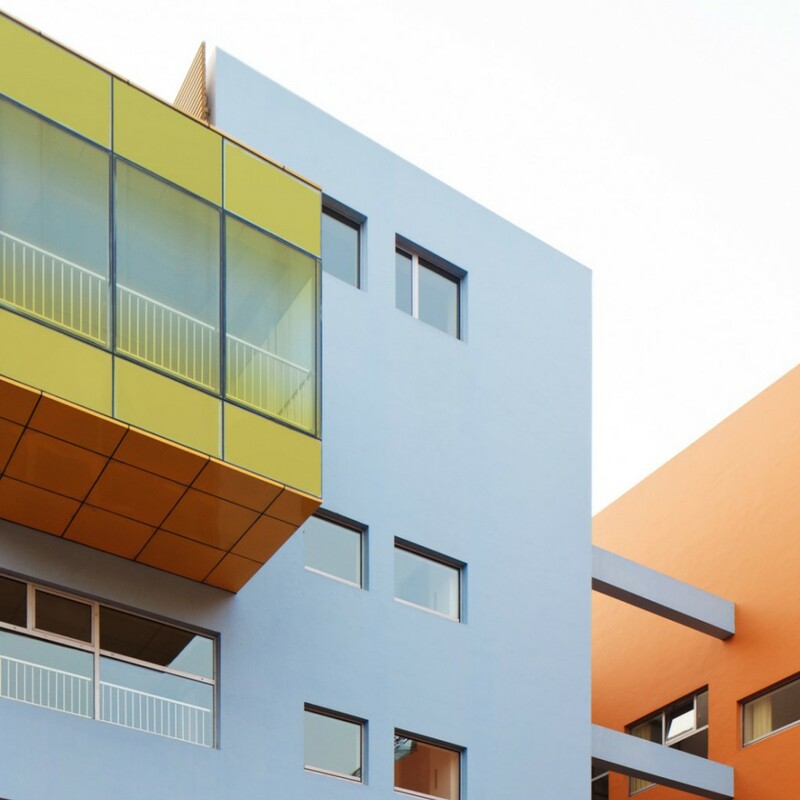 As a result, patients, visitors and staff perceive the hospital as welcoming and protective from the outside, and open to the exterior when viewed from inside. The hospital is built to accommodate state-of-the-art equipment, maintain high standards of efficiency, and comply with the latest green building standards. 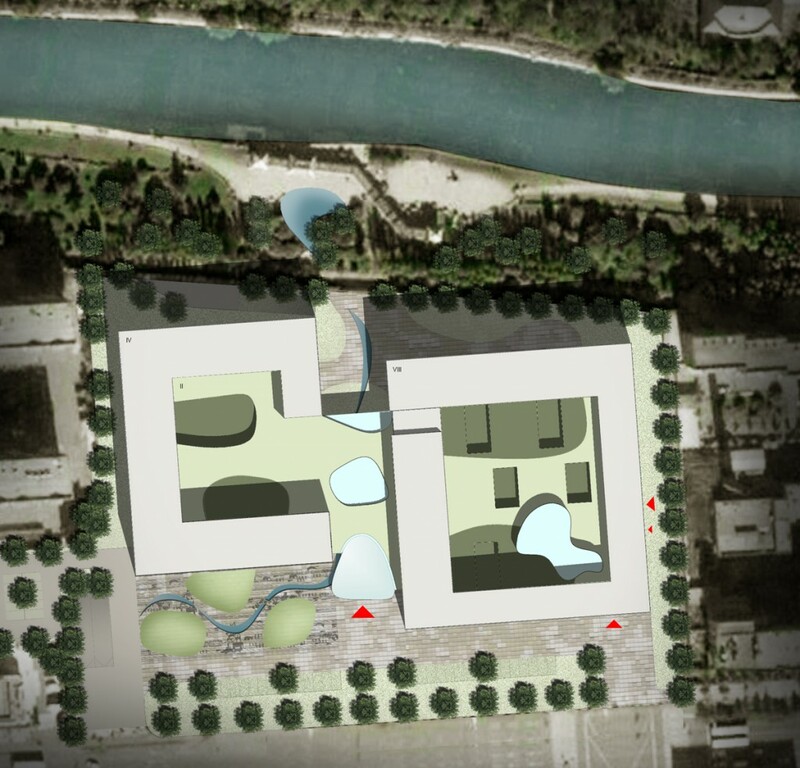 Thanks to photovoltaic cells and groundwater-based cooling systems, this is a modern energy-saving building.